This track by The Sidekicks, an alternative punk band from Ohio, will be appearing on their new record Runners in the Nerved World. The release of this song couldn't come at a better time where consumerism is high and the emphasis on present shopping is out of control. James Mercer's old band Flake Music released this back in 1997 on their 'When You Land Here It's Time To Return' LP. The recently released version has been mixed and remastered. This upbeat number will have you bopping your head and groovin about. Be sure to stay tuned for the release of their upcoming EP 'At The Docks' on December 13th. We can't wait to see what they do next. We've been looking for awesome tunes to add to our summer playlist, and this one is a gem. Lazy Daze, who hail from Adelaide, combine shimmering guitars and catchy lyrics to create a magical track that is hard to forget. 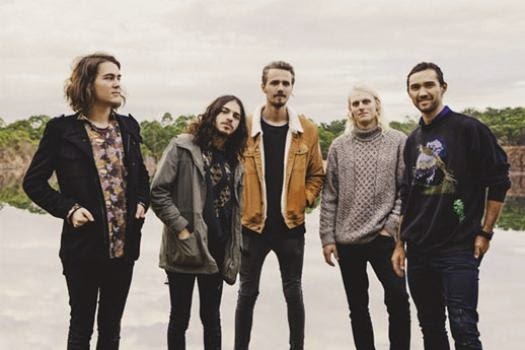 The five piece band from Brisbane have already gained experience playing major festivals like Parklife when they won the Triple J Unearthed comp in 2012. The Belligerents are an act on the rise. Watch this space.